1½ inches long, distinctly pear shaped. 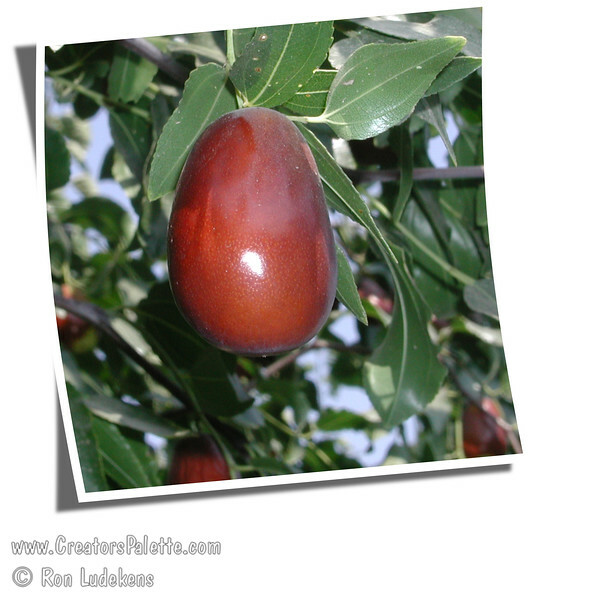 Better to fully ripen on tree to full mahogany color for best flavor. A more upright grower than Li. Ripens: Fall, early to mid-season, slightly earlier than Li. Drought tolerant. 150 hours chilling.